As the law stands as part of the overall duty of utmost good faith to the insurer, when applying for cover an insured’s duty is to provide all information material to the risk, whether or not requested by the insurer. The burden of disclosure is currently very firmly on the Insured. A breach of this duty by the Insured provides grounds for the Insurer to avoid the policy entirely. 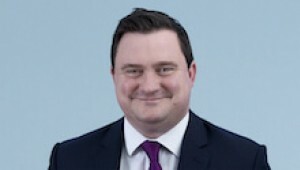 Under the new Act policyholders will be required to either disclose in a reasonably clear way “every material circumstance” which the insured “knows or ought to know” or provide the insurer with sufficient information to put a prudent insurer on notice that it needs to make further enquiries. Accordingly Insurers will have a new statutory obligation to follow up on any unanswered questions. The new Act seeks to define what is meant by knowledge of material circumstances. Where the Insured is an organisation the relevant knowledge will be the knowledge of anyone who is part of the senior management team. It extends to those who arrange insurance, risk managers and so on. Knowledge is defined as information which could be expected to be found by a reasonable search of information held by the Insured. In practice this will extend beyond the senior management team to anyone in the organisation who has relevant information or knowledge of the risk to be insured. Under the new Act insurers are deemed to have knowledge of anything that is known to them or anyone who participates on their behalf in the decision whether to take the risk and if so on what terms. They will be presumed to know anything that is common knowledge, anything that an insurer offering insurance of the class in question to the Insured in the sector in question would reasonably be expected to know in the ordinary course of business. Put together these changes mark a real shift in English insurance law and will require insurers to take a much more active approach to assessing risks. As the law stands, an Insurer is entitled to avoid the entire contract in the event that there is a failure by the Insured to disclose all material information irrespective of whether it relates to the loss. All that is currently required to enable the insurer to avoid is that the undisclosed information was unknown to the insurers and was material to the risk. Under the new Act an insurer will only be entitled to avoid the policy entirely (assuming there is no fraud) where the breach of duty of fair presentation is “deliberate or reckless” and where the insurer can demonstrate he would not have entered into the contract had he known the information or would have done so on different terms. This will be difficult for Insurers to prove. If the insurer cannot show this the policy can only be avoided if the insurer can show it would not have written the policy at all had they known the undisclosed fact. If the Insurer would have provided cover but on different terms or subject to a higher premium then the contract will be treated as entered into on those terms or any claim will be reduced proportionately in line with the higher premium. Under existing law insurers are generally discharged from all liability under a policy following breach of warranty regardless of the subject matter or relevance to the actual loss suffered. Warranties must be complied with whether material to the risk or not. If not, the insurer is discharged from liability from the date of the breach of warranty. From a policy holder’s perspective this can operate harshly. Under the new Act a breach of warranty will mean insurers liability to make payment will be suspended until such time as the breach is remedied. They will remain liable for losses prior to the breach. Insurers will no longer be able to rely on a breach of warranty, condition precedent, exclusion clause or any other term which did not increase the risk of, and was irrelevant to, the loss. Finally so called “basis of contract” clauses will be abolished. Such clauses currently have the effect of converting all pre-contractual representations in a proposal form into warranties. This means that the insurer can be discharged from liability if the proposal form contains any statement that is inaccurate even where that misrepresentation is immaterial to the loss. The new Act codifies the current position, namely that if the insured makes a fraudulent claim the insurer is not liable to pay. The Insurance Act implements a number of minor provisions which pave the way for the Rights Against Insurers Act to come into force. This Act will make it much easier for third party claimants to bring direction actions against insurers where an insured has become insolvent. There will be no need to obtain a judgment first against the defendant policy holder to proceed against the Defendant’s insurers direct which represents the current law. Finally, the Enterprise Act 2016 when it comes into force in early 2017 will insert a new section into the Insurance Act 2015 which will give policy holders the right to claim damages from insurers for late payment of claims for the first time under English law. From 4 May 2017 every insurance policy will imply a term requiring insurers to pay claims within a reasonable time (to include the investigation and assessment of the claim). This is fact dependant. Policy holders should note that proceedings will need to issued within a year of the date the insurer pays a claim. Given the extent and significance of the changes being made to this area of the law, it is likely that the Courts will initially be called upon to determine the scope of the legislation in practice. If you would like any further information, please contact James Cradick, Senior Associate in the Dispute Resolution team at Thomson Snell & Passmore, on 01322 422542.